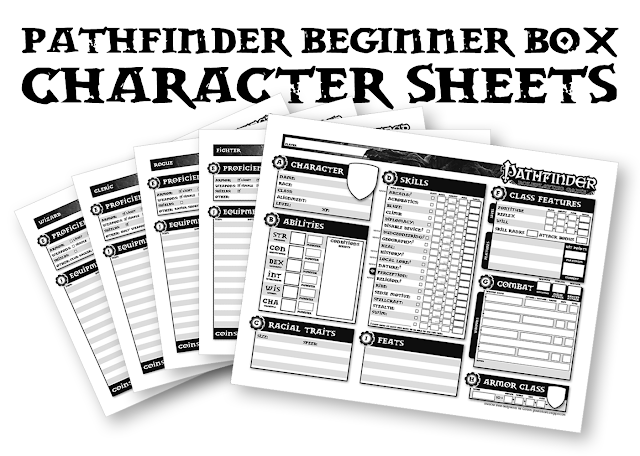 Just some character sheets from the excellent Pathfinder Beginner Box I redesigned 5 years ago but figured I'd upload today. Just didn't really like the design of the original. Shoulda been landscape, shoulda been clearer to use. Hopefully they are. Same front, but different back for each of the four classes. 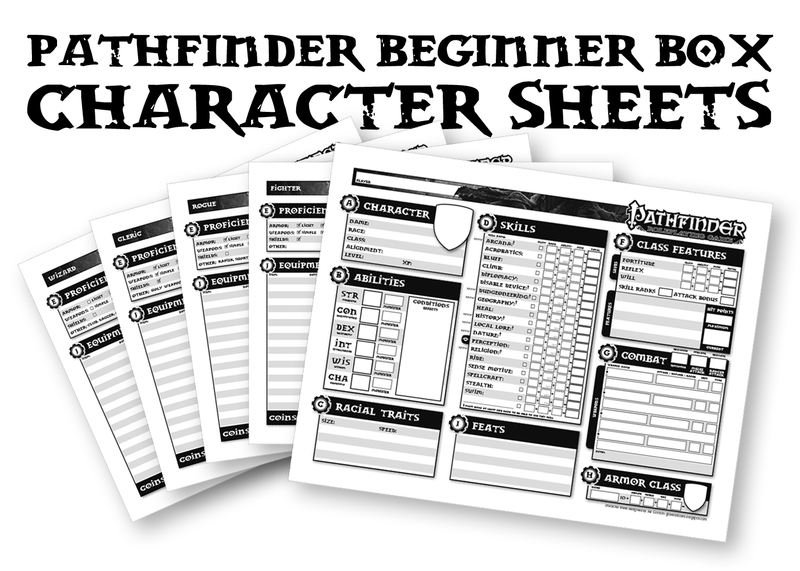 character sheets are awesome. You can never have enough variants. Lovely. I think PFBB might be my favorite bare-bones fantasy RPG out there.